There are many respected conglomerate in India like the Birla’s, Tata’s and Ambani’s. They are the representatives of industrious India or the India Inc. They are transforming India, many founded with the sole idea of transforming India. A few of these companies have very Interesting stories of their founders; stories of perseverance and hard work, which will inspire upcoming and budding entrepreneurs. One company which has been representing India Inc. globally has quiet an interesting story of its founding years. The story is about Mahindra and Mahindra, the torch bearer of “Made in India” in the automobile sector. Before India got Independence many companies and business houses were running successfully; but partition of India destroyed and ruined many business as they had to shift their bases; either it was India to Pakistan or vice versa . The partition not only broke friendships they broke businesses. Mahindra and Mahindra was originally known as Mahindra and Mohammad, named after the founders. Mahindra & Mohammed was started as a steel company in Mumbai. In 1945, two enterprising brothers named J.C. Mahindra and K.C. Mahindra joined forces with Malik Ghulam Mohammed and started Mahindra & Mohammed as a steel company in Mumbai. 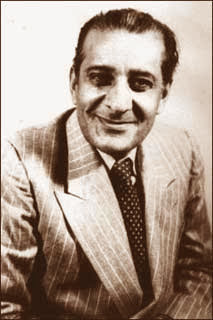 When India won its independence, Malik Ghulam Mohammed left the company to become Pakistan’s first finance minister. Mahindra brothers ignited the company’s enduring growth with their decision to manufacture Willy’s jeeps in Mumbai. The company’s new name was Mahindra & Mahindra. They established the company as the Jeep manufacturers of India and later on branched out into the manufacture of light commercial vehicles (LCVs) and agricultural tractors. The Mahindra group as a conglomerate has invested and branched out into different domains from information technology to hospitality. The US based Reputation Institute recently ranked Mahindra among the top 10 Indian companies in its ‘Global 200: The World’s Best Corporate Reputations’ list. Mahindra & Mahindra as a company is changing the course of India , with its hands in diverse fields from automobile to information technology, it is not only giving employment to millions of Indians but with the company’s values and principles, they are a source of inspiration for budding entrepreneurs. J.C. Mahindra and K.C. Mahindra are legends and we have their legacy in Mahindra & Mahindra. When we read about Mahindra & Mahindra one question always intrigue us; what happened to the other founder Malik Ghulam Mohammad, is he revered in the same way in Pakistan. Born in Lahore in 1895, Malik Ghulam Mohammad belonged to a middle-class family of Kakazai tribe. He did his graduation from Aligarh University and joined the accounts services of India. After that, he served in the Railway Board but during First World War, he was deputed on the control of general supplies and purchase. He had a rich and diverse career; he served as a financial advisor to the Nizam of Hyderabad and represented the Nawab of Bahawalpur. Later on, Ghulam Mohammad himself was inducted as the Finance Minister in the Cabinet of newly created Pakistan in 1947. With vast experience, he helped the country tackle with the financial crises. In 1949, one of his initiatives was that Pakistan should organize International Islamic Economic Conference in Karachi, in which Finance Ministers from all Muslim countries participated. Malik Ghulam Mohammad, in his address to the Muslim delegates, launched the idea of the establishment of a Muslim economic block. After the assassination of Liaquat Ali Khan, Malik Ghulam Mohammad was elected as the third Governor General. Malik Ghulam Mohammad died in 1956. Mahindra & Mahindra is one of the most respected companies. It is visible how a company with great ideals can help in nation building. The Mahindra group, though it became a conglomerate from India; has not forgotten its roots, and you can make it out when you see the reference of Malik Ghulam Mohammed as one of its founder, it gives an insight into the company’s ideals and values. The history of Mahindra & Mahindra gives us a thought provoking story of how partition happened not only of countries; but of families and businesses. Mahindra and Mohammad would have been a testament to universal brotherhood; a great example of people with diverse backgrounds not only living together but doing business together. The story of Mahindra & Mahindra gives us an idea of how Muslims of South East Asia have lost a source of motivation and inspiration at the time partition of undivided India. With unemployment and illiteracy running high in the Muslim communities; Malik Ghulam Mohammad would have been a source of inspiration for the Muslims; but sadly his legacy is lost in the oblivion of Pakistani politics. This is not mere A POST, this is a precious information a silent motivation to all the spheres of Muslim Community. We as a Muslim must know our legacy and should not lost our knowledge and wisdom at any point ! Struggle,Strive — YES we are MUSLIMS. Thank you for your time. Yes you are right , we must look at the future.